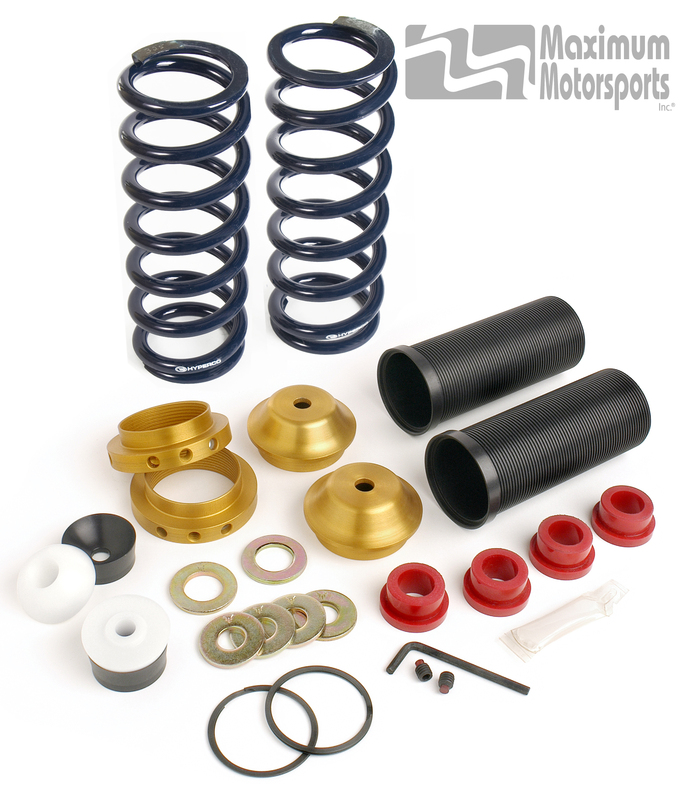 Rear Coil-Over conversion kit for Bilstein shocks (IRS Cobra only). This kit comes with Hypercoil 2.25" diameter linear rate coil-over springs in your choice of spring rate. Consult your MM sales department for help choosing spring rates for your particular car and performance driving habits. This kit can be purchased without springs as a MMCO-4. If you have Ford OEM 2003-04 Cobra Bilstein shocks (already grooved) and wish to use them with your coil-over kit, you still will need a MMSM-10 kit to properly complete your installation. See the product page for details about the differences. Click on the Tech Info button below for more technical information on Coil-Over kits.